Over the years I have seen all kinds of musical talents from different parts of the country and the world. I love the ones that bring something new or something old with a fresh twist on it, not straying too much from the origin. One day I came across a guy on a website that was a music artist. He was very different from the average music artists in that he performed without any background music. The music was actually coming from within him. He himself was actually a musical instrument. I was amazed at his talent. He has fresh sounds, you can see the energy popping off of him, and he is fierce. His name is Jason Tom, a beat boxer from Honolulu, Hawai’i. I asked him if I could feature him in one of my blogs on this site. He was very shy and he agreed. Here follows his story. 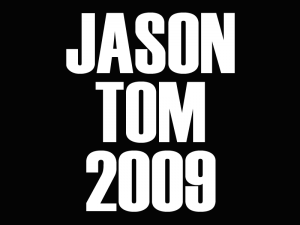 Jason: My name is Jason Tom. I was born and raised on the island of O’ahu in Honolulu, Hawai’i, USA. I was also raised by my aunt, uncle, and first cousins in Northern California prior to pre-school before going back to live in Hawaii with my parents and older sister. I’ve also lived in Beijing, China, and Northern California during my college years. I’m fourth generation Chinese American on my father’s side, but have been raised like a second generation Asian American since my parents grew up in Asia prior to living in America. I’m an alumni of President William McKinley High School in Honolulu, Beijing Foreign Studies University-BFSU in Beijing, and University of Hawaii’s Kapi’olani Communty College-KCC. I currently attend University of Hawaii’s Honolulu Community College-HCC through the MELE (Music and Entertainment Learning Experience) program that is partnered up with Belmont University’s Mike Curb College of Entertainment and Music Business in Nashville, Tennessee as a Music Business major. Maimounah: What made you decide to become a professional beat boxer? Jason: When I was four years old I would record myself on audio cassette as a hobby. I’d find myself beat boxing, interpreting my own improvisational lyrics, scatting, singing the rhythm, and melody of Michael Jackson’s Bad song from the album of the same title. Back then I didn’t own records of songs I liked listening to, so I metaphysically became the songs to record my own version of them. In my mind I produced the music exactly the way I heard it in my head of the actual records, but was disappointed when I heard it on playback due to the technology back then. Now when I listen to it I hear a rawness of creativity that flowed through me that wasn’t taught to me. I am self-taught in the art of the human beat box without the knowledge that it is a gift. It wasn’t until my freshman year of high school that former classmate Jess Navarrete Jr., who I had known since elementary school, made me aware that it is a gift with his response, “Is that a radio? Oh, that’s you that sounds really cool!” then I’ve discovered in 2003 that I could actually explore the human beat box through a live performance setting after I’ve witnessed how Asian American Elaine Chao rocked the crowd during her live beat box performance on the TV program “Showtime at the Apollo.” The rest is history from late 2004 and on. It was and still is unusual to see the beat box performed live in Hawaii, but I’m helping to change that. Maimounah: How do you approach beat boxing as an aspiring songwriter and composer? Jason: I like to create original beat box songs from scratch, and I often improvise with beats live on stage. So when I “freestyle” live on stage I don’t remember what I’ve just done once I get off stage, because most of the time I leave it right then, and there. When I create an original composed song from scratch to memorize, I mess around with lyrics and or the beat to come up with a message I’d like to portray. Rarely do I throw in a cover of a known song. There are beat boxers who may throw in five or more covers of songs they didn’t originally create into their live routines, but at most I’ll throw in maybe one or two. One of them that I’m known to throw in is Michael Jackson’s Billie Jean, and it’s a song I know the origin of. I know for the most part how it was written by Michael Jackson, and the choreographed dance that syncs with it. I’ve also studied the actual composition of Billie Jean by listening to the actual record rather than listen to other beat boxers who have beat box-covered the song. My Billie Jean beat box cover for instance has the actual bars, and transitions that the actual song on the record has with my personal beat box touch. My philosophy is that as beat boxers we’re already “imitators of music,” so we shouldn’t look to imitate other “imitators of music” when we should strive to create something from actual music sources such as live instruments, live performances, and records to dig deeper to become “creators of music” or “the music.” I also see myself as an entertainer, so I like to incorporate elements of movement, energy, and stage presence into a performance. For example, on occasion I incorporate Michael Jackson’s moonwalk (this dance move is accurately called “the backslide”) while I beat box simultaneously at the same time. Maimounah: What are some of the difficulties that you face as an aspiring songwriter/composer/beat boxer? Jason: My first difficulty was getting used to hearing myself on a PA system, and also getting comfortable beat boxing onto a mic. It was a different animal for me. I realize now how important having monitors are, because I’ve done performances where there weren’t monitors, and not having monitors from my point of hearing sounded like my sounds were getting cut off when they weren’t. Thus I felt distant from my sounds, and felt uncomfortable as a performer with the absence of monitors. I still encounter issues with sound systems and acoustics of venues to this day to truly cater what i do. I’ve even blown out dynamic microphones (the most durable of microphones) before due to my high SPL (sound pressure level). I have just under four years of experience performing, very young for my career, and the performing for me continues to be fresh. I have to get out of my own comfort zone to experiment with new concepts, and ideas. If the concepts work, great! If the concepts don’t work then back to the drawing board I go. 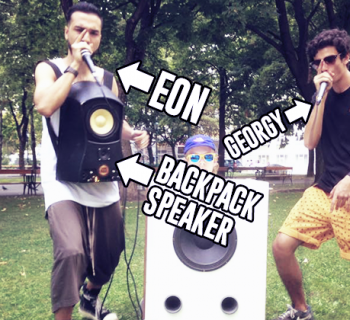 Maimounah: What is the origin of beat boxing? Jason: From what I understand there were drum machines, and it was during the early 80’s when hip hop was just starting up. There were emcees that wanted to rhyme with a beat to back them up, and in place of drum machines were people that imitated these drum machine sounds with their mouths when the situation called for it. This art from is known as the human beat box or beat boxing. The human beat box term was coined by Barry B. for beat box pioneer Doug E. Fresh who replicated the drum machine convincingly. 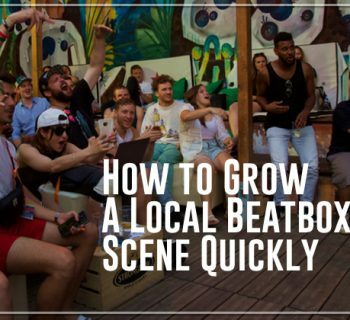 American beat boxer Rahzel took it up another notch by singing while beat boxing simultaneously at the same time, and is one of the most influential beat boxers within the human beat box community. Thus the human beat box is a person who can replicate a drum machine utilizing his or her mouth, lips, tongue, etc. Maimounah: Please elaborate on your involvement with the local communities in Hawai’i. Jason: I got my start performing at Kapi’olani Community College talent shows, and left my mark as the only beat box act to enter the contest to date. I’ve placed in four consecutive KCC talent contests prior to graduating in fall of 2007 as a first generation college student, and have earned nearly a grand in prizes from those contest placings alone. Following that I became the December 2007 “no rules” poetry slam champ, and the $100 cash prize winner for First Thursdays Hawai’i Slam at the Hawaiian Hut. Prior to that I’ve placed 2nd in a “no rules” slam on August 2007, and debuted 3rd place in a regular rules poetry slam on October 2006 for First Thursdays Hawai’i Slam. 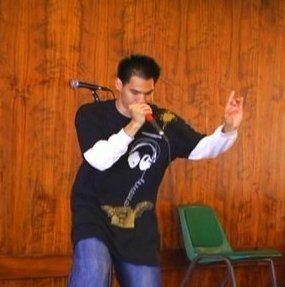 I was also in the cast of Ong King Art Center’s 2007 theater production known as Hip-Hopalyse, where I played a beat boxer named Dewm that didn’t speak a word, but used the beat box with dance to back up emcees Do ( played by iNTREPiD) and Dune (played by Harumi the Hymn). Early 2008 I’ve also worked with the United Chinese Coalition to celebrate the Chinese New Year Festival at the Chinatown Cultural Plaza, and performed beat box routines in the Chinese language (in Cantonese and Mandarin) that I’ve created specifically for the event to inspire the younger generation of Hawai’i. I’ve also been invited to guest speak and perform at schools and churches across the island. I’ve done beat box events and performances at Central Middle School, Central Union Church, Chinese New Year Celebration at the Chinatown Cultural Plaza, Church of Jesus Christ of Latter-Day Saints, First Thursdays Hawai’i Slam at the Hawaiian Hut, ARTafterDARK at the Honolulu Academy of Arts, MELE events at Honolulu Community College, Kapi’olani Community College, McKinley High School, New Hope Kailua, First Fridays at the Ong King Art Center, Rumfire Waikiki, Word of Life Academy, Emerge at the Word of Life Christian Center, and more. I’ve also connected with local acts such as Pierre Grill, Makana, Jake Shimabukuro, Hawaiian Ryan, Bridget Gray, Andy Tran, DJ Azia (tours with Tempo Valley), PhoeBus, DJ Don, Pimpbot, iNTREPiD, Harumi the Hymn, the Deadbeats, Taimane Gardner, LoveChile, Kapena, Jon Sands, eightOeight, Tru Rebels, and more. Maimounah: What are your future plans? Jason: On October 2008 I won 1st place at the World of Life Emerge Talent Show to be eligible for the grand finale on January 2009. Since then I’m attending church regularly due to recent signs that God have shown me, and I continue to cherish the gifts He has blessed me with. I used to not put Him first in my life, but it’s long overdue that I do. Also I hope that jasontom.com continues to strive in ways to connect me with my following. I also want to complete my Music Business science degree through the MELE program, and if all goes well, I plan to transfer over to Belmont University, and do internships in Los Angeles, New York, or Nashville. I’d also like to get more into songwriting, continue to compose original beat box songs, and stay consistent with what I do in life. I also want to continue working with the local community, and continue to support the local music, poetry, entertainment, and art scene.